Boating season is now done done. I actually hauled it out for the season a month ago, but it had been at the fiberglass shop getting a fresh coat of bottom paint and barrier coat. Since I was heading up to Albuquerque anyway today, I picked it up on the way North. As always, the 2.7 ecoboost is deeply impressive towing. It was real windy today, so mileage suffered at 11.5mpg with the cruise control set at 80ish. 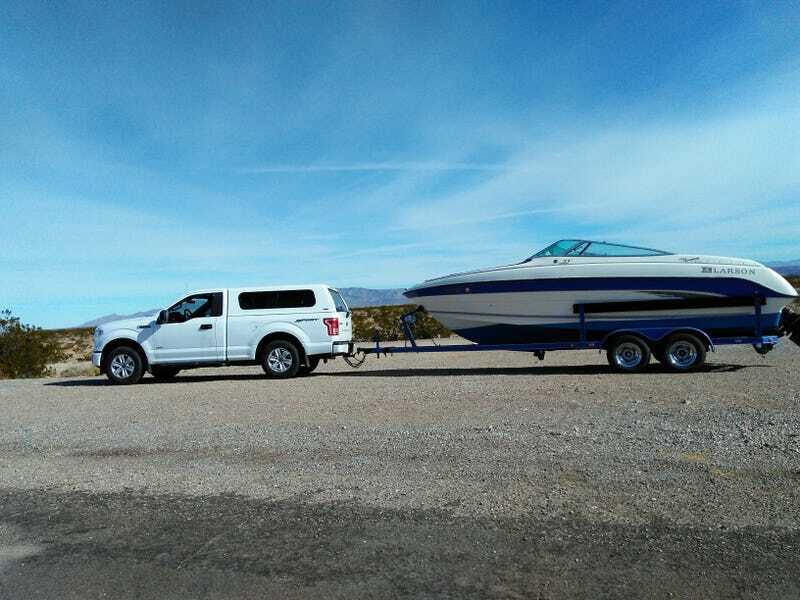 Not the 13.5 mpg it posted in the spring on a less windy day, but still only the second tow vehicle that’s ever posted double digits towing this boat (my old 02 F-250 powerstroke being the other). The boat is now all tucked away until early March. Bonus content: the apartment building in the background of the second picture doubles as the Sandpiper retirement community in Better Call Saul.